No one should have to go hungry, especially children. 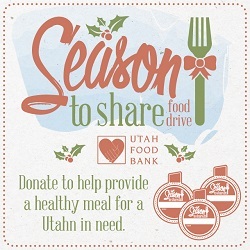 We’ve partnered with Utah Food Bank to help keep that from happening. The 2018 Season to Share drive will benefit the Mobile School Pantry program, which brings food directly to the school playground, so students and families can get the food they need each month. From November 1-December 24, you can help a family in need by making a donation during checkout. Let your cashier you would like to donate, and they will give you an icon to write your name on. You can donate $1, $5, $20, the extra change to round up your purchase to the next dollar, whatever you want! Every donation, regardless of size, makes a difference. Because of our purchasing power as a grocery store, we’re able to make the most of each donation and provide even more food to Utah Food Bank. We appreciate your continued support and can’t wait to make a difference this year! Food brings people together, but for many families in Utah, figuring out where that food will come from is a challenge. We’re excited to announce the start of our annual Season to Share food drive to benefit Utah Food Bank’s Mobile School Pantry program. This program brings healthy food right to the playground of more than 66 schools across the state, making it easy for children and their families to get the items they need. Participating is easy. Simply purchase an icon at the checkstand now through December 24. You can donate any amount and all proceeds will go to Utah Food Bank and families in need. We appreciate your support and know that together we can make a difference in our communities. Did you know that one in seven people are at risk of missing a meal today? Join us in assisting your local food pantry and make a donation of $1, $3, or $5 at the register. You’ll be providing healthy food items to a neighbor struggling with food insecurity. Donations made in Utah will assist Utah Food Bank. In Overton they will assist Overton’s local food pantry. 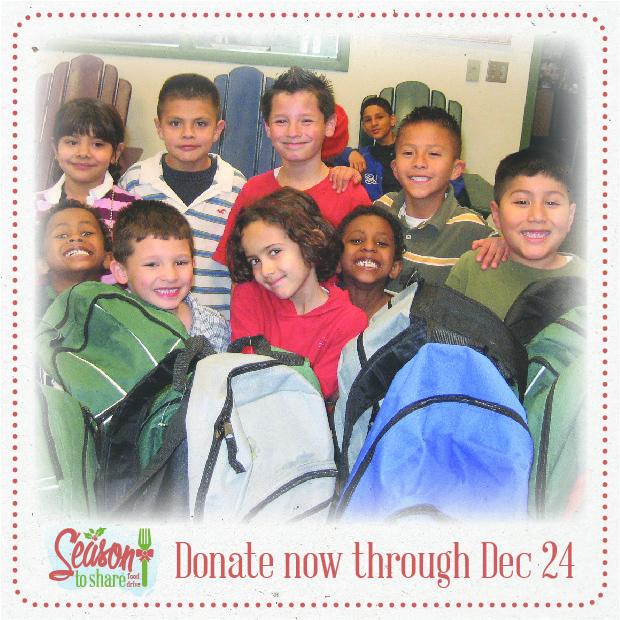 Last year, we were able to donate $129,016.00 in backpack meals for children in Utah and Nevada who are food insecure. Help us make a difference in our community and feed your neighbors in need! Did you know that one in seven Utahn’s are at risk of missing a meal today? 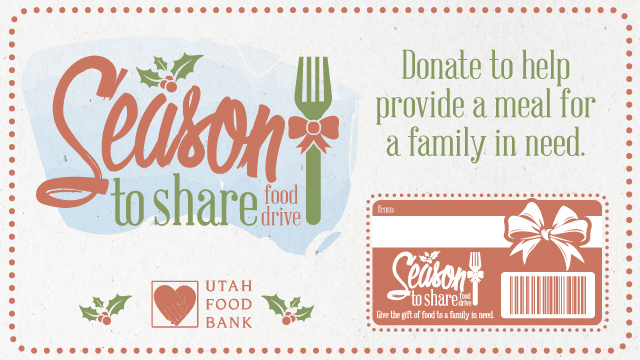 Join us in assisting Utah Food Bank and make a donation of $1, $3, or $5 at the register. You’ll be providing healthy food items to a Utahn struggling with food insecurity. Last year, we were able to donate $129,016.00 in backpack meals for children in Utah who are food insecure. 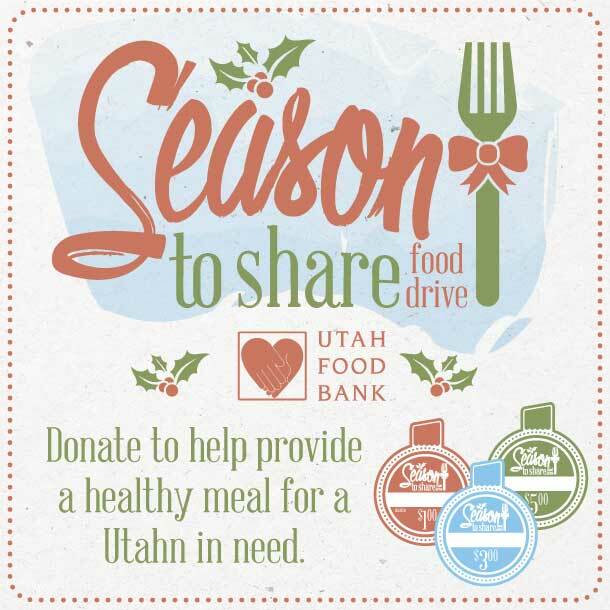 Help us make a difference in our community with Utah Food Bank!